I have been teaching American Literature (11th grade English) for over a decade, and my favorite part is teaching The Great Gatsby. Part of that love comes from the amazing conversations, thoughts, and questions that come up as we tackle a reading that is pretty difficult for most of my students. It’s also one that, on the surface, is hard to relate to for them. I mean, what does a book about a bunch of rich white people and their problems have to do with them? But the rest of my love comes from my obsession with the Moderns. The authors of the 1920’s. America in the 1920’s and 30’s. It is by far my favorite time period to read about/study. I am that book nerd who reads everything by Fitzgerald and Hemingway and others just to be able to put my mind and imagination into The Jazz age and out of my reality for a little bit. So when I saw that BlogHer was going to be doing The Chaperone by Laura Moriarty for one of its summer book club reads, I was super excited and couldn’t sign up fast enough. As soon as I saw that it was an historical fiction about Louise Brooks I got very excited. 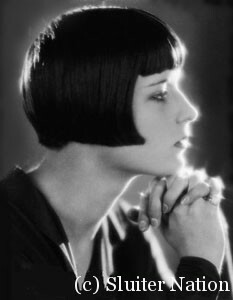 In all of my reading about the 1920’s, Louise was one of the stars that stands out in my mind as being fascinating. I use her and Zelda Fitzgerald as examples in my classroom, so to find a novel fictionalizing her first trip to New York was beyond thrilling for me. The Chaperone isn’t only about Louise though. It really centers around her fictionalized chaperone, Cora Carlisle, whom her parents hire to accompany Louise one summer to NYC as she attempts to win a coveted spot on the prestigious Denishawn dance troupe. Louise is Cora’s reason for going to NYC to search for something from her past. Something she is sure will bring her the happiness that she feels is lacking from her life. Of course, it is evident right from the beginning that Louis is not just going to be a simple charge for Cora. She is rebellious and “difficult”. In fact, it almost seems that Cora is not just being hired to take Louise for a chance of a lifetime, but to get her off her parents’–mainly her mother, Myra’s–hands. The novel is a quick read. At least it was for me. Some have said the first chapter drags, but I found it to be one of the most delightful to read; it was rich with description of Cora’s surroundings in Wichita, which I found to be a necessary contrast for the later description of the fast-paced New York City. I enjoyed how the novels chapters in the beginning alternated between the present (1922) and Cora’s childhood. Once caught up, they alternated between Cora’s home life and her current situation and escapes with Louise in the city. Up until Cora returned from New York, I was enjoying the full description, the interesting dialogue, and the movement of the plot. The last third of the novel, while interesting, was less “showing” and more “telling” to me. I thoroughly enjoyed reading the book and knowing what became of Cora, but I felt like the end was just a recitation of events that was crammed together so we could get her full life in the book rather than developed out. True, the novel would have been incredibly long, but after such detail in the first two-thirds of the novel and the back and forth structure of the chapters, the final five chapters seemed like a biography of a fictional character. Overall, I really liked the book and would totally recommend it as a great summer read. Want to know what others thought? 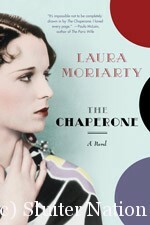 Head on over to the BlogHer Book Club for more discussion about The Chaperone! The Legal Stuff: I was compensated for this book review by BlogHer Book Club, but the opinions are all my own.